studies on zoanthids from the Indo-Pacific (including genetic studies) may increase this number, and clarify the identity of species representatives of many genera. Identification of genera is often possible from external features but even this needs to be confirmed by internal observation in many cases, for example, the genus Zoan-thus has a divided marginal sphincter. Confirmation of some identifications requires histological sectioning. 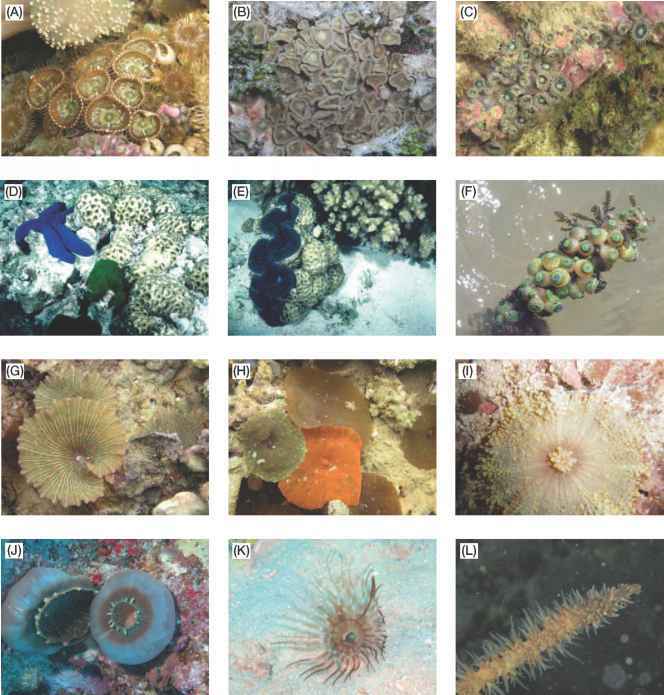 Much progress is being made in zoanthid taxonomy and natural history, and many new publications on this group can be expected over the coming years. The column wall is without special external structures as seen in Actiniaria. The oral disc has unbranched tentacles, which occur in an exococelic and an endocoelic cycle (these cycles often appearing as a single marginal ring). The mouth is usually slit-like and has a single syphonoglyph, which is ventral. The septal arrangements are unique in living Anthozoa and new septa form only to either side of the ventral septal pair. In general, each pair of septa has one large septum (mac-roseptum, extending to the actinopharynx) and a small septum (microseptum), except for the dorsal directives, which are both microsepta, and the ventral directives, which are both macrosepta. This is called the 'brachyne-mous' arrangement (as in Fig. 19.1H), but a few zoan-thids also have another complete pair of macrosepta on each side (the 'macronemous' arrangement). Colonies of zoanthids may grow attached to the substratum by a broad colony base (e.g. in Palythoa species) and many are epizoic, often using specific animal species, worm tubes (e.g. Acrozoanthus australis), sponges, gorgonians and numerous other organisms as an attachment surface. Many species host symbiotic dino-flagellates (zooxanthellae) in the ectodermal tissues. Sexual reproduction probably occurs in all species and follows similar patterns to those of corals and sea anemones. At least one species has been seen to spawn during the coral mass spawning event on the GBR. Zoanthids also form clones by division of colonies and large areas of reef flat may contain representatives of only a few genotypes because of this. The intertidal reef flat often appears to be a preferred habitat for zoanthids, probably due to the rapid growth and cloning ability of the genera Palythoa and Protopalythoa that occur here and are particularly obvious a few months after damage to corals and other organisms, for example by events such as cyclones. 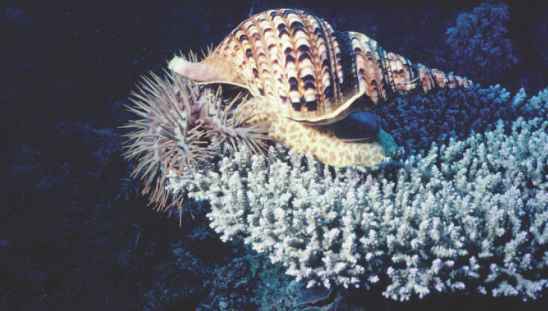 Species of Protopalythoa and Zoanthus occur in calmer sublittoral and back-reef areas. Zoanthids are very toxic, their tissues containing a toxin known as paly-toxine. For this reason they are not as popular as coral-limorphs for aquarium culture.